Nearly every AP champion will be affected by these alterations. Over the last few months, Riot Games has been trying to expand one class of champions over all others: Mages. Riot has tried mages in the jungle, converting support mages to the mid lane, and overall finding new places for AP champions to go. The goal was to give players more choices, a huge theme of League development over the last two years. On Tuesday, the company announced the next step in that process: Enormous changes to mage itemization. Nearly every AP item is covered by this change. Morellonomicon is being renamed altogether, while new items, like Spellbound Orb, seek to give spellcasters more ways to express their playstyle. One of the key changes made is to early itemization. Specifically, Riot wanted players to have more options in the early lane phase without paralyzing them. So they made a tweak to one key early item: Lost Chapter. Lost Chapter is a crazy efficient bundle of mana and AP. Riot decided to add CDR to the mix, but increase the cost by 200 to 1,100 gold. This makes it even more of a must-have for the lane phase. But instead of having Lost Chapter build into only one item, Morellonomicon, users now have three items to upgrade into: Hextech GLP, Luden’s Echo, and Archangel’s Staff. All three will benefit from increased 20 percent CDR, but will provide different effects depending on how players want to play. Morellonomicon, now named Morello’s Cursed Tome, will no longer build out of Lost Chapter at all, but will require a new intermediate item, Orb of Shadow. The idea was to make this a more niche item overall. It will still apply Grievous Wounds, but the CDR it used to have is gone, replaced by flat magic pen. This is now the default item for those rushing early penetration. 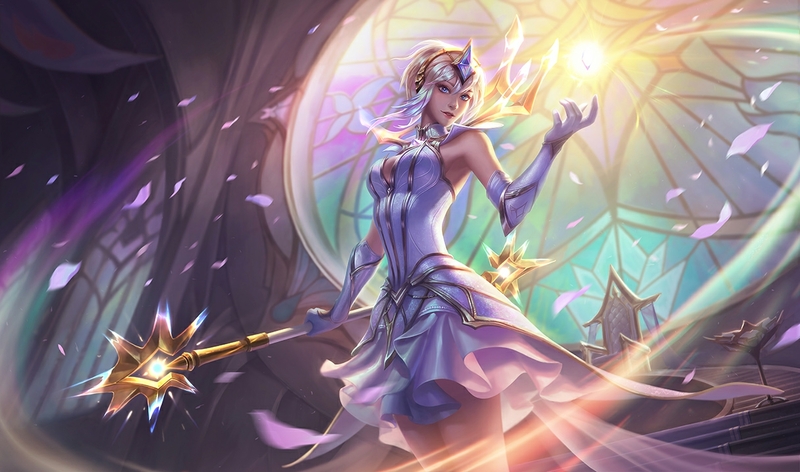 Now, champions that want penetration will no longer need Liandry’s Torment, and indeed, magic penetration is being removed from that item altogether. Liandry’s combination of penetration and magic burn is overpowered right now. The new item will increase the damage the wearer deals. That means it will be less helpful on AP tanks who would build the item to shred magic resistance for their team—champions like Vladimir and Amumu will have to figure out a new playstyle. Many other items, from intermediate ones like Void Staff to their finished versions, are being changed in some way. But enough about the old, let’s see what’s new. The first new item, Spellbound Orb, will be a high-risk, high-reward item designed for the early game. It’s risky because it requires a Needlessly Large Rod, which can be hard to build given its high cost. But this item opens up a world of possibilities. The other AP items are being nerfed to give only 80 AP, but Spellbound Orb will provide 100. Users will also gain a 10 percent increase in movement speed. Finally, the item has a charge effect similar to the passive of Kircheis Shard: You gain stacks based on the number of spells cast in its vicinity—from both allies and enemies. Activating the item consumes stacks to grant a potentially huge burst of movement speed and AP—up to 50 percent speed and 50 AP. That amount of sheer power is terrifying, if a user can proc it effectively. Can you imagine an AP assassin like Katarina bursting into a fray with that active? What about a champion like Cassiopeia or Ryze, who can potentially self-stack the item? The possibilities are enticing. The other new item is actually a reboot of an old one, Twin Shadows. That item was removed in Patch 5.22 and replaced by Frost Queen’s Claim. The new item will be focused on those who love to roam, and unlike Frost Queen’s, it won’t build out of a support item. Try out this blast from the past if you like hunting down foes from afar. Needless to say, this changes everything for AP champions. Tweaks are still being finalized, but expect to see this drop on the PBE soon. Check out the Riot release page for full details on all of the items that are changing.